*cough* I can't drive *cough*. Okay, I assume you're done laughing now, I shall continue my post, lol. The event started at around 1 p.m after we're all full from the lunch provided by Kojiesan. The MC greeted everyone in a humorous manner before introducing the speakers for the afternoon. 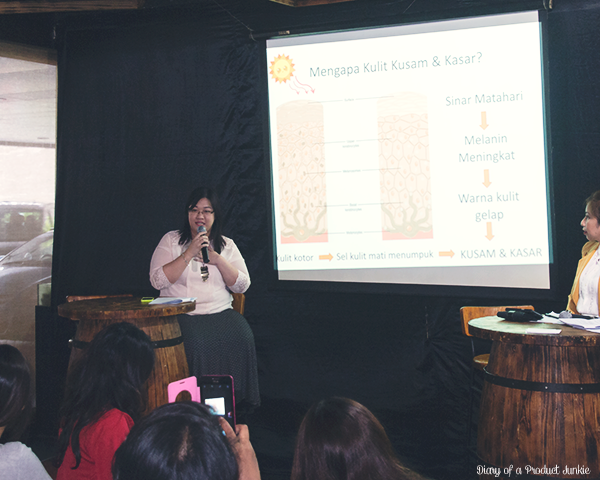 Ms. Patricia, the representative from Kojiesan Phillipines, explained briefly about the history behind Kojiesan and how they formulated a lightening soap for the skin. 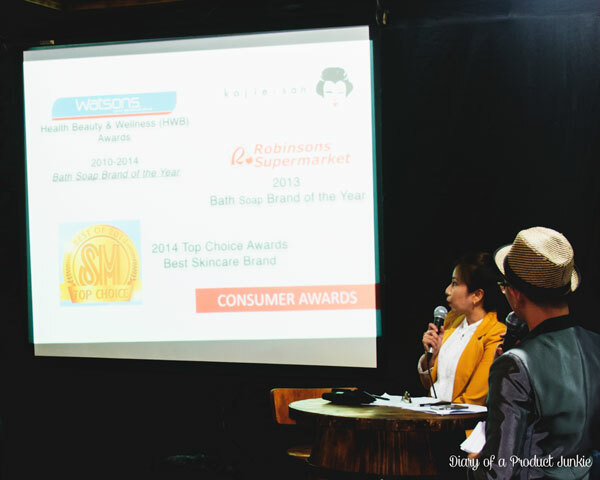 She also said that Kojiesan has won the Watsons Health Beauty & Wellness Awards three years in a row for being the best Bath Soap Brand of the Year! Ms. Yesi, the representative from Kojiesan Indonesia, added the information of the price of the soap as well as the stores that sells them. Kojiesan is now available at Hero Supermarket, Lion Superindo, Giant Extra, Dan-Dan, grand Swalayan, Naga Swalayan, Guardian, Alfa Midi, Diamond, Ranch Market, Farmers Market and Lotte Mart. 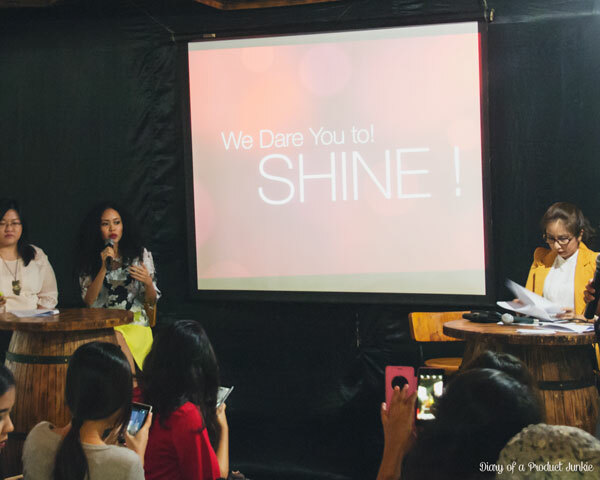 The last speaker is a beauty blogger that you have already known and love, Agnes Oryza. She shared her experience after using Kojiesan lightening products on her skin for two weeks. With her bubbly personality, she explained to the bloggers that her skin became brighter within two weeks of use. Results may vary, of course. Right after the presentation ended, the bloggers are asked to take a selfie with Kojiesan products. 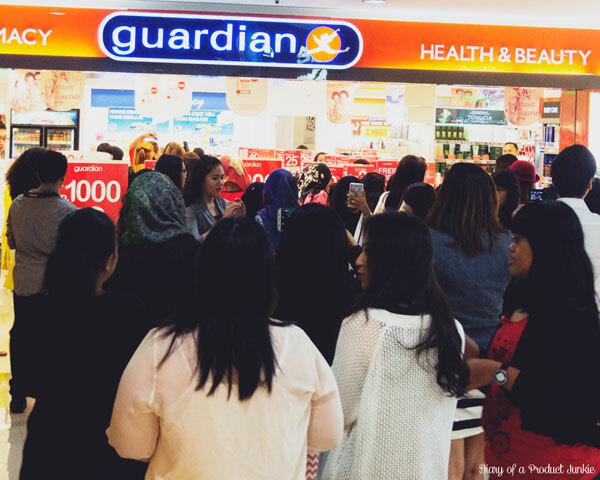 As everyone is getting their products out, the MC said that the selfie needs to be taken at Guardian, which is not that far from the venue. So, off we go to find Kojiesan products and took selfies, welfies, groupfies, and whatever-else-fies there is available right now in the blogging world. Agnes and I tooks selfies as well, of course. 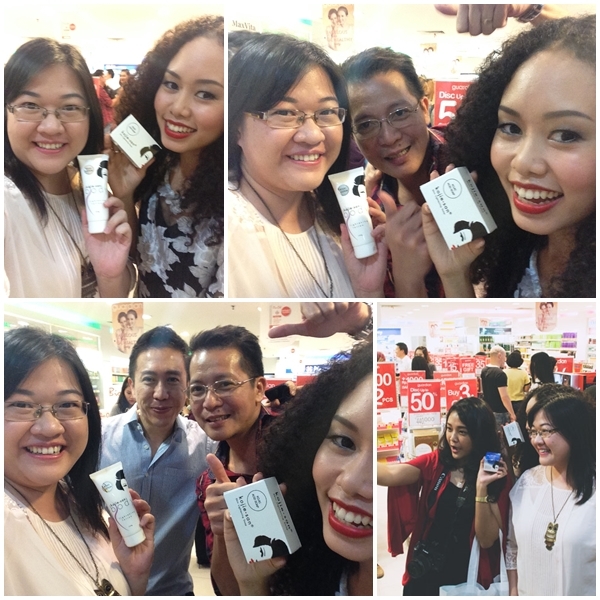 We had tons of fun picking the products for the selfie session! Right after that, the winners of the tweeting contest and selfie contest is announced. I forgot to take a picture because I was still laughing at the fun selfie session with Agnes and the other bloggers. 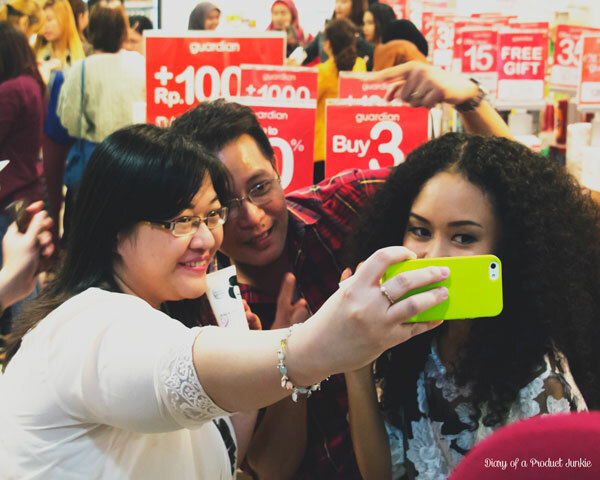 10 additional winners will get Rp 500,000 shopping vouchers. 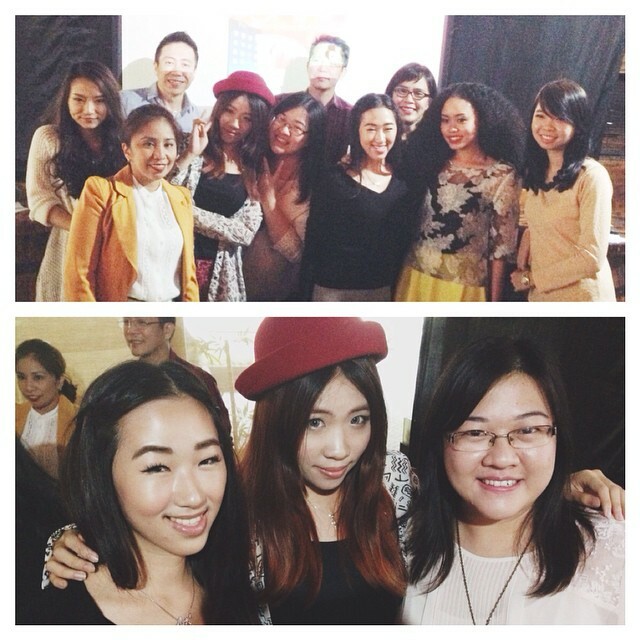 All in all it was a fun event where I get to meet other beauty bloggers who have the same passion in blogging. 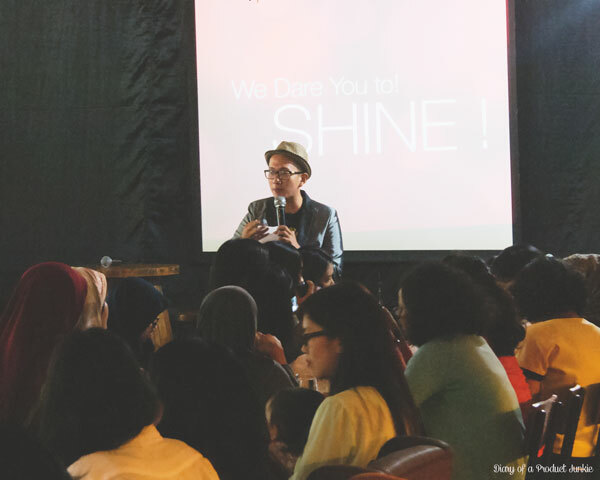 It was fun meeting you all and I hope that you gained new knowledge about skin lightening and moisturizing ya~ Don't forget to tag me in your photos and leave your blogpost on the comments below, I would love to read them! Produk Kojiesan tersedia di Hero Supermarket, Lion Superindo, Giant Extra, Dan-Dan, grand Swalayan, Naga Swalayan, Guardian, Alfa Midi, Diamond, Ranch Market, Farmers Market and Lotte Mart. wuahhh can't wait to join the competition..
cici boleh izin kutip beberapa informasi dari postingan ini gak yah?